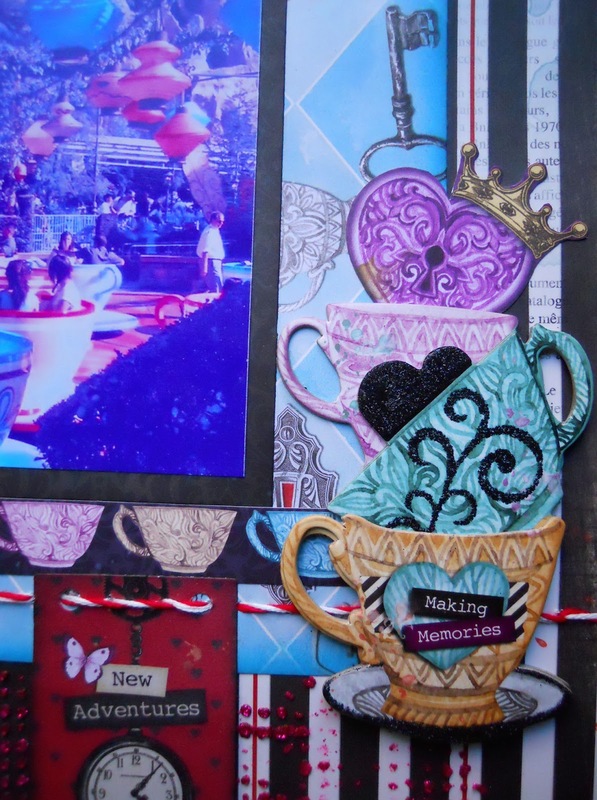 Hi FotoBella fans! Drea here with another layout featuring the Bo Bunny (Land Of Wonder) I Want It All Bundle from FotoBella.com. 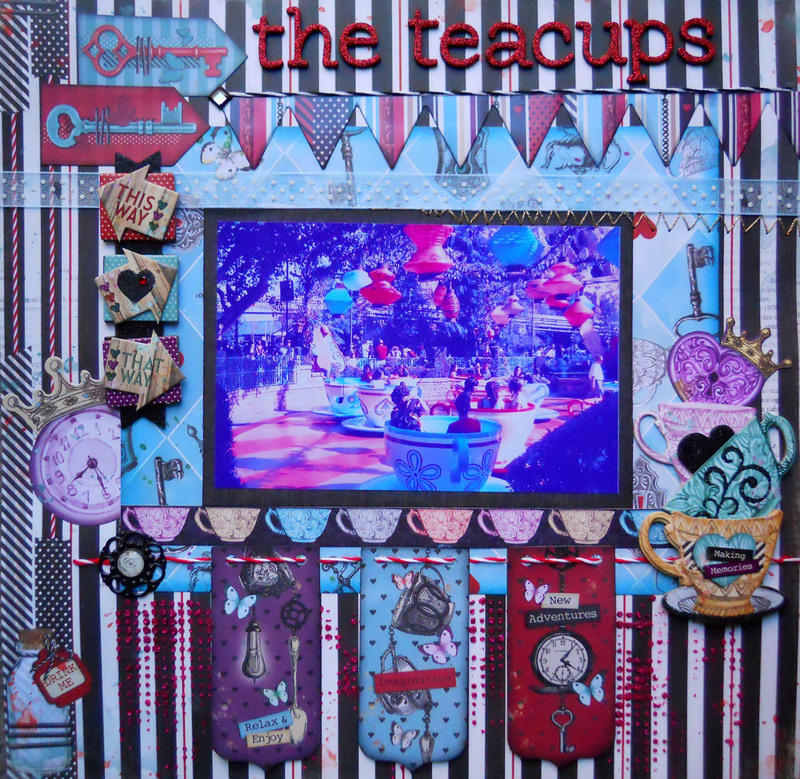 This whimsical collection is straight out of wonderland, so I scrapped this old photo of the teacups ride at Disneyland. 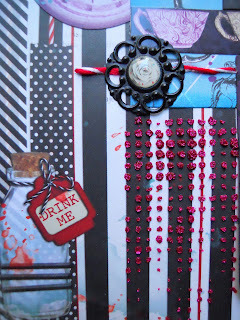 I started by applying Bo Bunny Glitter Paste (Pink Punch) to the Tim Holtz (Dot Fade) Stencil along the bottom of the striped paper. 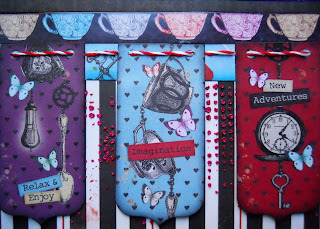 Then I applied Distress Ink (Black Soot) to the edges of the banner pieces from the Noteworthy pack, using my Blending Tool. 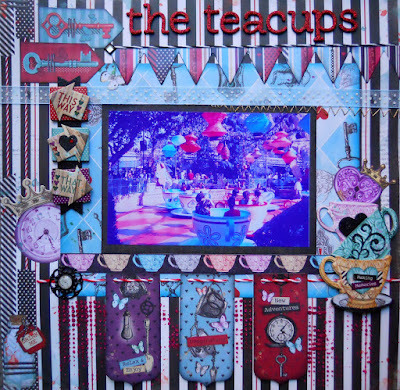 The banner is connected with some hand-stitched twine, with a sticker of teacups placed above it. I secured a brad towards the end of the twine. The striped banner is a sticker, with some more hand-stitched twine to highlight the title, made from Thickers included in the Bo Bunny (Land Of Wonder) Bundle. 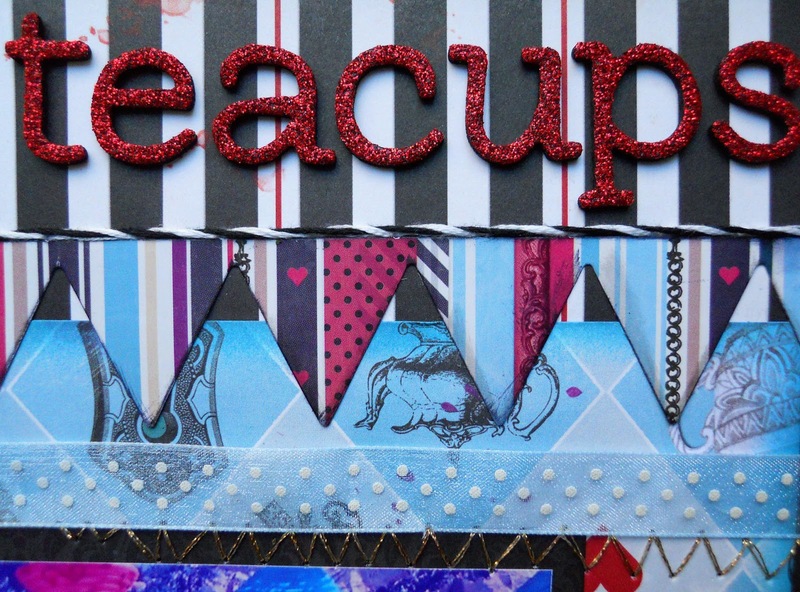 I dug out my older Bo Bunny Ephemera packs to find the sheer ribbon, and hand-stitched the gold zigzag. 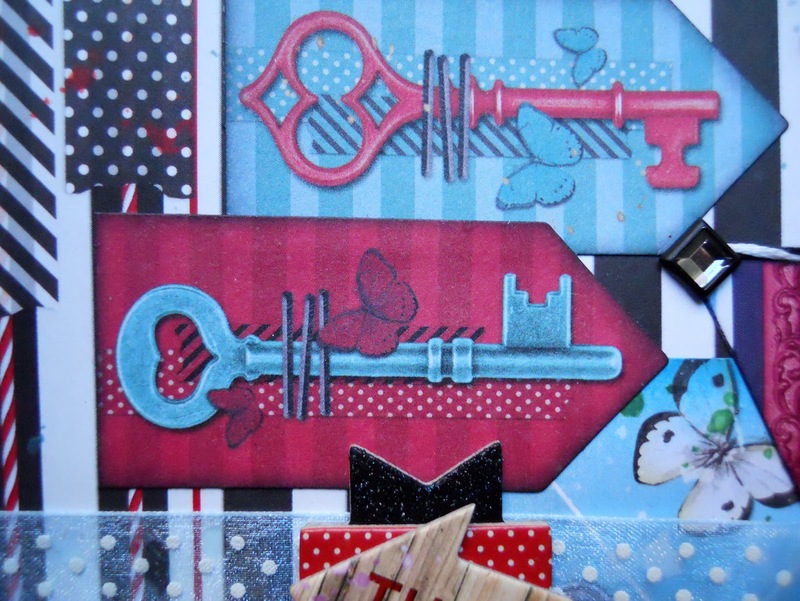 These banner pieces with the keys, are also in the Noteworthy pack. 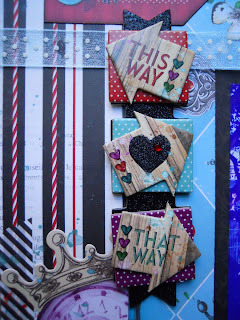 I love the arrows and glitter on this piece from the Layered Chipboard! 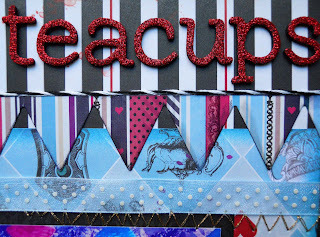 But the teacups, from the Layered Chipboard, is really what makes this page! The purple heart sticking out, is from the Noteworthy pack.